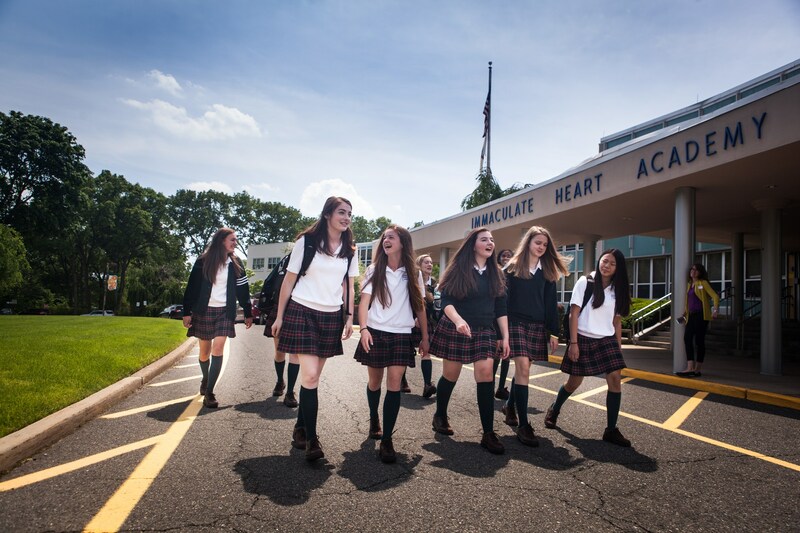 The nature, scope, and purpose of the Immaculate Heart Academy’s activities program are derived from our school philosophy which “fosters a responsible use of personal freedom in all aspects of life. Recognizing the diversity of intelligence, creativity, and potential inherent in a student body, IHA designs its programs to meet the intellectual, spiritual, moral emotional, social, and physical needs of its students.” We therefore, consider the extracurricular activities and programs at IHA to be a major component of our total education program. In addition to the vast curriculum choices offered at IHA, many programs exist to educate and enhance our students as a whole. Our Campus Ministry program exists to instill in our students a sense of responsibility, justice, and compassion. We encourage campus ministry through regular liturgies, class retreats, and our very special Christian Service Program. 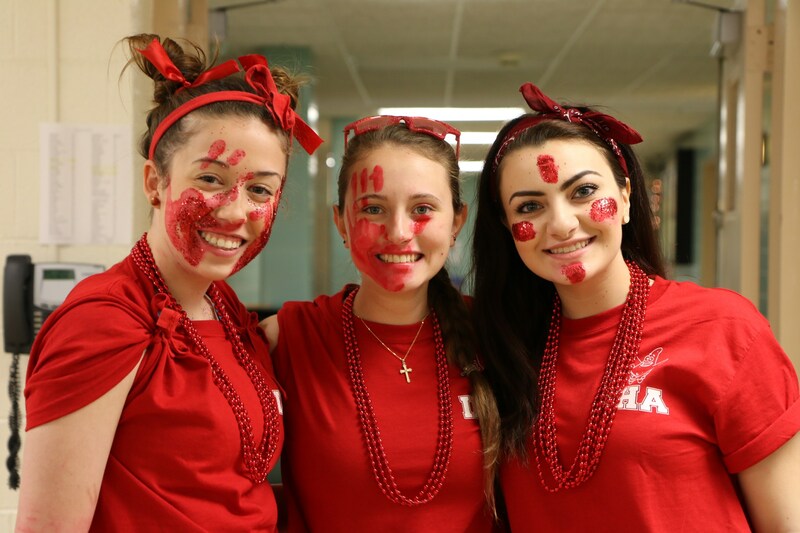 Leadership is another important characteristic that we foster and encourage at IHA. From the moment they step foot on IHA's campus freshman year, our students are inspired to become and remain independent and inspirational trailblazers among their peers. As we guide IHA students through life in the 21st century, we must also keep up with the technological advances constantly surrounding us. 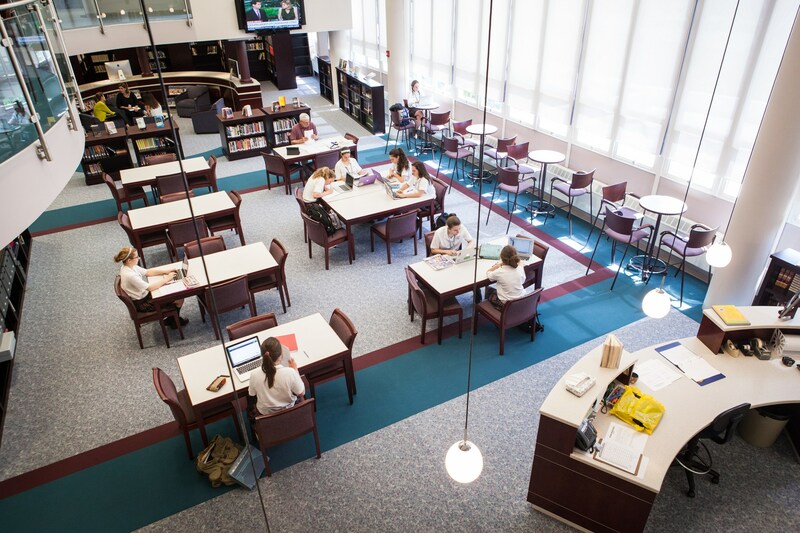 Technology is an integral part of IHA's success and advancement, both inside and outside the classroom. Another imperative skill our students learn is the ability to use the visual and performing arts as creative expression and communication of ideas. The Fine Arts Department does this in a variety of ways, including giving students the opportunity to participate in the fall musical and spring drama. Finally, the Communications Department offers students truly incredible opportunities with the use of our state-of-the-art television studio. Students have the chance to learn how to be in front of and behind the camera and gain confidence and poise on the daily student-run news show, heartTV. Additionally, Immaculate Heart Academy sponsors an assembly schedule which includes a variety of informational programs and guest speakers to enhance the educational experience. Award assemblies are held for outstanding scholastic achievement, service recognition, and athletics, in addition to pep rallies that encourage school spirit. Assemblies in conjunction with holidays, holy days, and specific occasions of importance are also an integral part of the student experience.